In Europe the summer holiday season is now over. 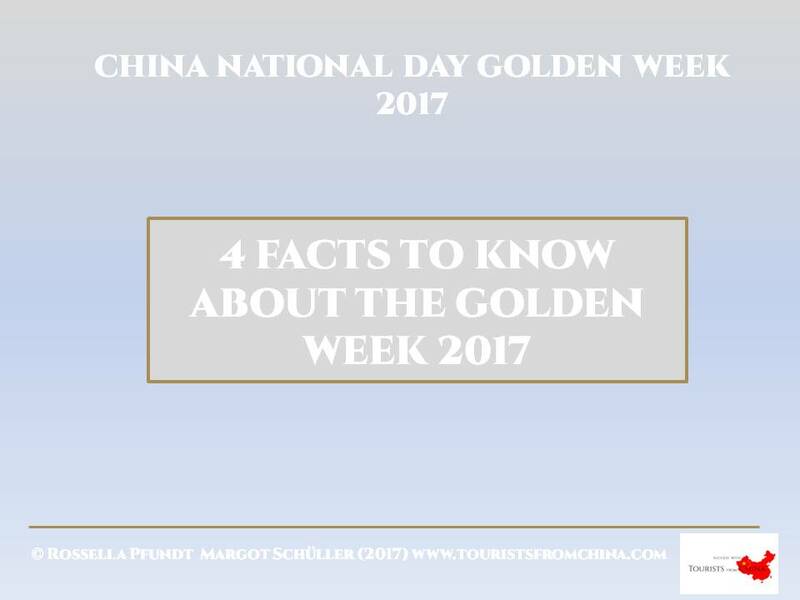 In China one of the main travelling periods started on 1 October, the so-called ‘GOLDEN WEEK’. A staggering 600 million Chinese tourists will now be travelling within China or abroad. will help you to be better informed about this Chinese peak travel period. In 2016 Chinese outbound tourists spent €6.5 billion during this period, according to Ctrip. This peak season for Chinese travellers offers new opportunities for the international retail and tourism industries, and also for your business in Europe. High quality products and services are becoming more and more important: Chinese tourists are willing to spend more to enjoy higher standards. The number of independent tourists is on the rise: hotels and retailers with luxury brands should be prepared for this group of tourists. Chinese tourists are becoming more interested in local culture and activities: tour operators and city touristic marketing officers should broaden their programmes and try to attract this new kind of traveller, who is oriented towards cosmopolitan urban cultures. Are you aware of the enormous opportunities of the GOLDEN WEEK for your business? Are you already offering some special arrangements for Chinese tourists travelling during the GOLDEN WEEK? « #1 Welcome to our website!